This Daily Create seemed extremely interesting to me. I love creating stories with the small number of words. It reminded me of an assignment in my high school english class and I almost used one of the ones I created then. But then decided to create a new two sentence story to go along with some pictures. I decided to use my cat for the images because my cat is awesome and it is easy to make a two image two sentence story with him. I came up with the first sentence being inspired by the phrase curiosity killed the cat. But instead of killing him it just put him to sleep.To make the picture I used a wedsite called photocollage.com. Then I took a screenshot of the picture and added words to it on Preview and then took a screen shot again. For this daily create, we to tell a story using two images. This describes my friend so well because not only is this image funny, there is some truth in it because he is an extremely good tennis player. This assignment was pretty easy, I just put the two images I wanted into a collage app and it generated the image. Then I put some text over it to tell what was going on. This is my video compilation of my top 5 favorite ds106’s. I really enjoyed doing all these because it allowed me to be creative while using what I had access too I’m my computer and on the internet. It also allowed me to get better at using certain tools. Using the Scribbles to photos link on the daily create home page I drew a rough doodle of my dog Skyy, and turned into a horrifying image. I used a meme generator to make this image. This was probably the last time I wore anything pink. That’s my father and I on Halloween when I was probably around 4 years old. This is a picture I am fond of so I am glad I got the chance to use it. Last day of June, last daily create. Per usual, I had no idea where to go with today’s prompt. I thought using song lyrics would be interesting. I started with Crosby, Stills, Nash, and Young’s (really Joni Mitchell’s) “Woodstock,” but nothing flowed. I went through a hair metal phase in high school, so Pat Benatar’s “Hit Me With Your Best Shot” came to mind. I searched for both pictures on Google images. I processed this Daily Create in MS Word where I added the speech bubbles. A hair metal artist and the military firing cannons had nothing in common until now. For this assignment, I used five of my favorite ds106 assignments to make a video compilation of what I think is my best work. This assignment was very fun because I got to go and look back at what I have learned and done in the class over the course of the month. It was relatively easy to do since I had all the tools I needed right in my ePortfolio. In order to make the slide show I used a website called Animoto.com the site was very easy to use, all I needed to do was to drag and drop the pictures I wanted to use in the slide show. The only thing I did not like was that the video automatically has a water mark on it unless you upgrade to the premium version, I really did not want to pay for it though. In all I would have to say this was my favorite assignment because the video looks good and it was a very good reflection on what the class is about and all of the interesting skills and tools we use in order to create art. This video compilation is made up of my five favorite DS106 assignments. I enjoyed making these every week because they were fun, and pretty easy. They encouraged me to use my imagination, and i had a good time making them, and coming up with ideas. I particularly liked making videos and gifs because im not that good at using Photoshop. For this assignment, we had to insert ourselves into a historic photo. 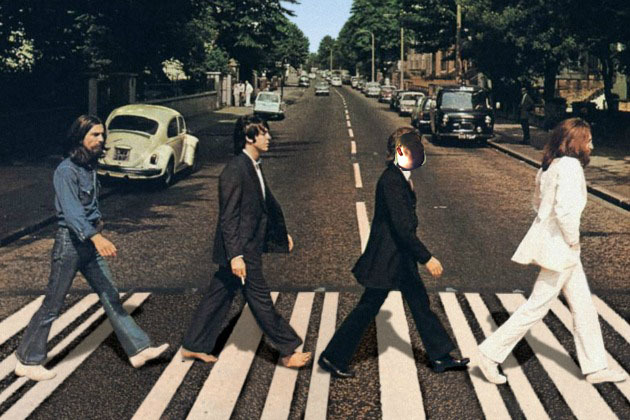 At first when I thought of this, I wanted to either put myself at a Queen concert or the Beatles, but I realized that my photoshop skills are not good enough to tackle that, so I went with the next best thing and went with the Beatles most iconic album cover for Abbey Road. The next part was putting my face in the photo. I decided to photoshop my face in place of Paul McCartney mostly because that’s where it fit best, but I feel like most people know who Paul McCartney is. So I’m not the best at editing but i realized that a lot of the pictures i have don’t actually have the top of my head. I honestly used this picture because the edge of the photo is a straight line through my forehead and it fits pretty well with the straight edge of the nuns habits. It still appears pretty obvious that I am out of place in this picture but over all I am proud of it. I knew no matter what today’s daily create was I wanted to do it because 1997 is my birth year. I thought it would be funny to show where my current bike actually resides. My shed is so cluttered and full that you can look at it for minutes on end and never find what you’re looking for. The blue bike there truly is mine and I saved up a lot of money as a young kid to get this bike, however I got a newer bike when I went off to school so this one justs sits there gathering dust. It actually took me 20 minutes to get this photo because our keys would not open the lock and I was so worried I wouldn’t be able to get this photo but eventually we got in. I think it was clever to not just show the bike to to make it into a “game”. For this assignment we had to photoshop ourselves into a historical picture. In this picture I am seen standing next to John, Paul and George, replacing Ringo. The reason why I chose Ringo was because typically he’s the one that people pay the least attention to so no one would know he was gone. 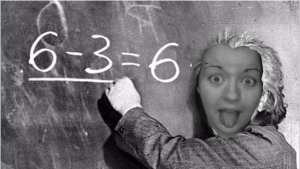 To make this picture I first had to make a cut out of myself from a picture of me. I did that using a website called pixlr.com. 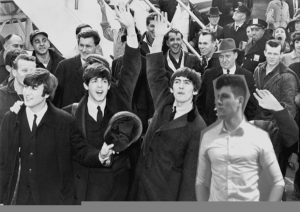 After I found this picture of the Beatles and pasted myself onto the image. before I could do that though I had to make the picture of myself black and white, in order to match the black and white image. I did this also by using Pixlr.com This assignment was a bit difficult for me because I am horrible with using photoshop and it is hard cut a picture of myself out using the mouse pad on my laptop, it is very sensitive. I really did enjoy the creativity of this assignment because the concept of placing yourself in a historical event in time is interesting to me. I love the Beatles so if was fun to almost make it look like I was part of the group, even though I have no musical ability what so ever. For this DS106 assignment the assignment was to generate a video compilation of a few of my favorite assignment creations for DS106 throughout the course. It was hard to not select most of the options, since I also included my daily creates in this video as well. The first photo is of a meme I generated where we had to generate any meme we wished, so I chose a pouting little girl and her toes. The next was answering what the Nordic prime ministers were summoning, and the answer was Batman. The next was a gif we had to make (could be from any movie) and I chose a scene from Deadpool. Then it was selfie with a pet, and I used a selfie I took a few months ago with my cat Preston. Then it was time to find a drink that you personally identify with, and I chose coffee in my mug that says “You make me wish I had more middle fingers”. Then it was a photo I had to caption that I got off of a provided site from Dr. Cripps, and I chose a photo from the Fort Kent iditarod race. Then it was a gif I made from a home movie of a monkey (toy monkey) we blew up. Then the Brady Bunch remix collage I made to showcase all of my awesome summer coworkers. Then it was the demotivate yourself assignment, and I chose a dog that couldn’t actually fly, so he was therefore going to land in the water. Lastly I chose my final daily create and that was a dog on a bicycle. I used Kizoa to make this video online and then embedded it here. The task for today’s Daily Create was super simple, we just had to show you our bikes, someone else’s bike, or just something about a bike. I wish I had taken this photo, because that would mean I have a super awesome bike riding dog, but I didn’t. I found it by googling “funny bike photos”. I just think that it is so cute that someone could even get their dog to balance well enough on a bike seat, and then place their paws perfectly on the pedals and handle bars. The training wells are also a super cute touch, but I can’t understand that the poor pup hasn’t perfected his skill yet (lol). Now he only needs a helmet! The DS106 assignment for today was to act like Forrest Gump and insert yourself into a historical moment (which for this assignment meant to edit yourself into a historical photo). I had a hard time with the assignment for multiple reasons. The first was I had a hard time finding a photo that I could work with while also being able to find a way to fit myself in. The second struggle was finding a way to actually edit myself in. I did a lot with Photoshop in high school, but the advantage to that was the school paid for it, as the actual Photoshop program must be bought. I wasn’t about to buy Photoshop, so I had to find a way to be able to edit and merge layers using a free online photo editor. I finally managed to find a way using an online face-swap tool. I realize the photo could still use a lot of work and editing, but this was the best I could do without buying the professional version of Photoshop, although I wish I had it. 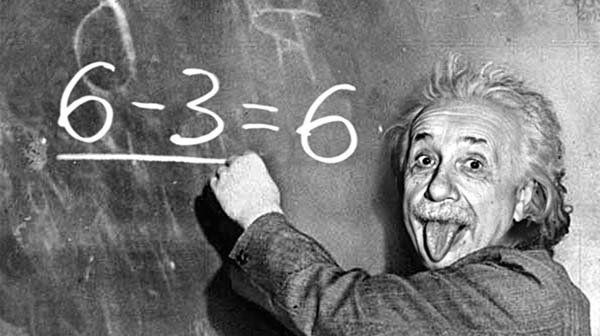 I chose this original photo of Albert Einstein because his wild hair and strange facial expression fit my mood today. It was a face that I could easily recreate and put myself in. But trust me, I am in now way calling myself Albert Einstein. I took this photo for a photography class during my senior year of high school almost six years ago. I found that someone had left their bike next to the bike rack outside my school during the winter and it got covered in snow. I snapped a photo and did some editing on the computer. I thought this photo fit today’s daily create, which revolved around bicycles. This “historical” photograph is a Jefferson Airplane album cover – one of my favorite bands. Initially, I thought of incorporating myself into a photograph from Woodstock, but most photographs are of large crowds or individual artists which I thought might be challenging. I then searched “Jefferson Airplane Woodstock” to find a picture of the entire band thinking I may have more success. 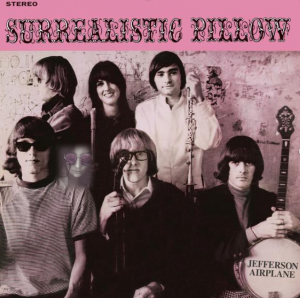 I came across the Surrealistic Pillow album cover and decided to run with it. I knew I had a picture (selfie) of myself with John Lennon/hippie glasses on thanks to a Snapchat filter. The photo turned out to be a video, so a played it and paused when I thought there would be a good still image. I took a screenshot of the image and imported it to MS Word along with the album cover. I played around for a while with some settings I was unfamiliar with. I know way better photo processors exist, but MS Word is surprisingly powerful! I cropped the image to best make it work with the album. I played with colors but the pink tinge of the glasses from Snapchat fit with the pink border in the album. I faded the edges of my selfie to try to make it blend more. Obviously, it’s not perfect, but now there’s at least a seventh member of the band. This was our final DS106 assignment, its crazy how fast the course went by. This project was to make a video compilation of our favorite DS106 assignments. I chose our first assignment, Whats the Meme, Say it like the peanut butter, Home video gif, What they might have said in social media, The real life Brady Bunch, and The Forrest Gump project. These were my favorite projects I had completed excluding the gif into fig which would not play. I thought these were the projects that I completed the best and the most creative ones I did. The video was too large of a file to upload directly so I uploaded it to youtube. I used Easy Movie Maker to create this video, a program I would suggest for easy video projects. This daily create was so much fun and I even involved another person in it. The assignment was rather simple because all I had to do was write a tweet with a caption for the photo. I spent about half an hour brainstorming ideas for captions and only decided I wanted to involve the Queen’s hat. At this point, I decided I needed some assistance. My boyfriend is originally from England (he moved to the US when he was about 11), so he was the perfect person to ask. I told him my idea for the caption about the hat and he gave me some slang from England that would equate to “straight fire” in the US (which means “really good” or “awesome”). He had fun teaching me and it was great to be able to work with another person on a daily create. I liked this daily create because it’s funny to think of the Queen of England at the Super Bowl. When I saw this photo, I noticed that the queen seemed to be enjoying herself but the guy next to her does not look like he is having a good time. It made me think about how this tends to happen when it comes to sports. There is one person who is enjoying themselves and the other person just has not interest in sports at all.